On Saturday December 22nd from 10:30-12:00, the Upton Town Library will be hosting a Tweens & Teens Ornament Workshop for ages 10-16. This event will take place in our Gathering Room. 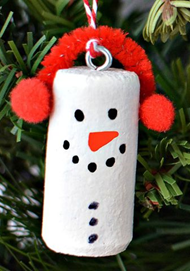 Participants will make an assortment of holiday and winter ornaments, perfect for decorating all season long! Please register on our Events link here, or by calling the library at 508-529-6272.